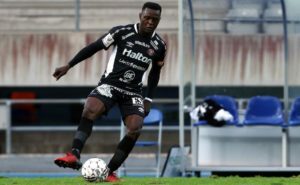 Sierra Leone midfielder, Hassan Milla Sesay, made a full-time debut for FK Helsingfors in the Finnish Cup, but his debut day ended up as a bad day with their 1-2 home defeat by FC Honko on Saturday. The midfielder, who recently joined the 2018 Ykkönen Champions from FC Lahti on a one-year deal with an option to extend enjoyed full game action, could not help rescue a point. Defender, Alie Sesay, continued to have a go for Kissamikos in the Greek second tier league as his club registered an emphatic 4-1 win over Sparta, while in the English Championship, Osman Kakay, who was an unused sub in QPR 2-1 defeat to Wigan Athletics, was left-out of the squad in their 3-4 home defeat by Birmingham City. Another Sierra Leonean player on the defeated line was midfielder, John Kamara, whose Kesla went down to Neftci in Azerbaijan. The Sierra Leonean midfielder got his name on the referee’s book in the 33 minutes. Leone Stars skipper, Umaru Bangura, controlled the art-of FC Zurich defence, as they recorded a 3-1 win over Grasshopper. Amadou Bakayoko had his first home start of 2019 on Saturday as he helped Coventry City secured their first win in the year as they defeat Rochdale, thanks to Bakayoko assist which Jordy Hiwula nailed in. Finally, in Italia Serie D, Rodney Strasser had full-time action with Villafranca Veronese,as they forced Sondrio Calcio to a 2-2 draw.